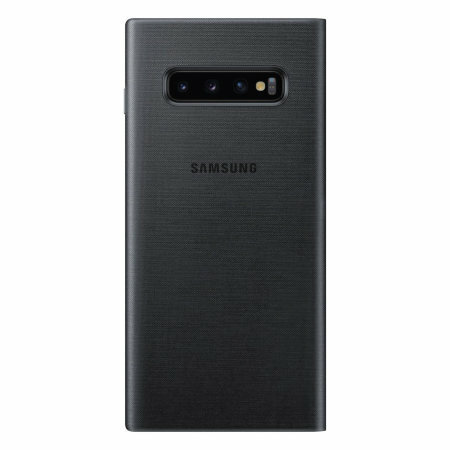 Protect your Samsung Galaxy S10 Plus screen from harm and keep up to date with your notifications through the intuitive LED display with the official Black LED cover from Samsung. I love these LED covers. The pictures don't do them justice. They look very nice. Much more professional looking than most cases and excellent quality. My only gripe isn't a product flaw. They don't fit well in my car mount so I take my s10 plus out of the case while driving. For MobileFun, trackable shipping would be appreciated but I can't complain about the low cost. I wanted to get an official Samsung cover for my new S10+ and this was the one for me. I love the time display (which at night is a god-send as it doesn't wake the wife like my old phone/cover combo did. It is smart-looking, practical and suits the phone to perfection. I'm happy tour Haven that case, verry good! The LED display details information on your phone's status including current time, calls, messages, battery status, volume to name just a few - viewed quickly and easily from the front of the cover without the need to open the case to view the S10 Plus's screen directly. 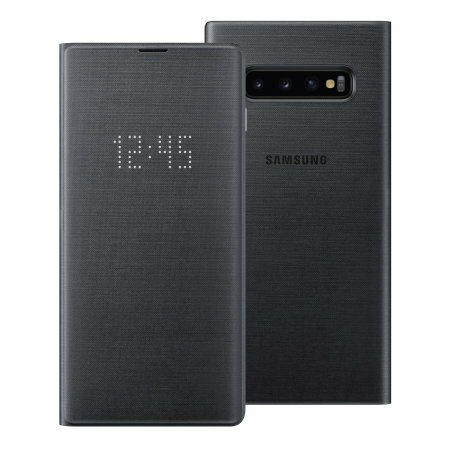 It is designed specifically for use with the Samsung Galaxy S10 Plus, so offers a perfect fit and does not impede the use of any of the functions including the power and volume buttons, headphone and charging ports or front and rear cameras. Inside this Galaxy S10 Plus LED cover you'll find an intuitively designed slot for storing a card, your ID or even receipts and train tickets while still maintaining its slim design. 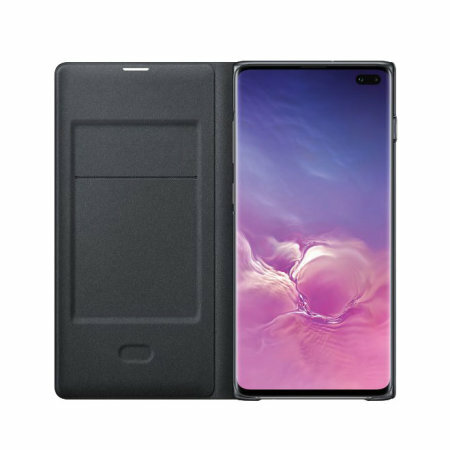 Protect the front of your Samsung Galaxy S10 Plus from scratches, scrapes and front-on impacts with the official flip cover. Samsung have created a premium cover that will wake up your phone's display when you open the cover and turn it off again when closed. This preserves your phone's battery power, so you can be sure your Galaxy S10 Plus retains its energy when not in use.